Our Sunday School class has been doing a study on parenting. One of the biggest things that I have taken from this study is that I need to be doing a better job of teaching my children scripture. So, I decided we would start memorizing one Bible verse each week. 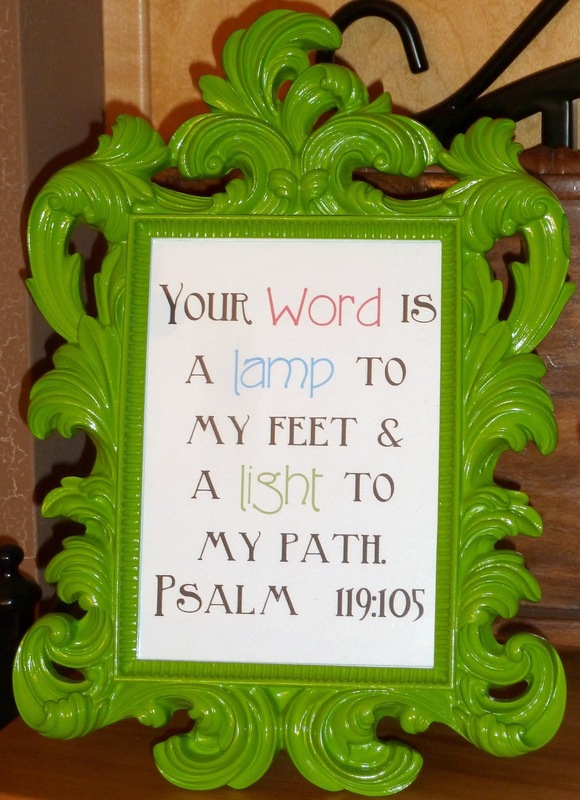 Each week, I print a verse on white cardstock and put it in a 5x7 picture frame. We review the Bible verse together as a family either at dinner or bedtime. I am excited for all of us to learn the important Word of God! After we finish with the verse, I punch a hole in it and put it on a binder ring so we can continue to review the verses we've learned. Here are the verses: Enough for a whole year, including some special holiday verses!